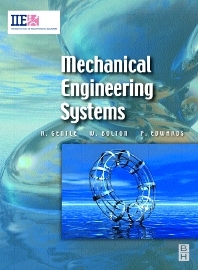 The authors of Mechanical Engineering Systems have taken a highly practical approach within this book, bringing the subject to life through a lively text supported by numerous activities and case studies. Little prior knowledge of mathematics is assumed and so key numerical and statistical techniques are introduced through unique Maths in Action features. Forthcoming lecturer support materials and the IIE textbook series website will provide additional material for handouts and assessment, plus the latest web links to support, and update case studies in the book. Practical text featuring worked examples, case studies, assignments and knowledge-check questions throughout.